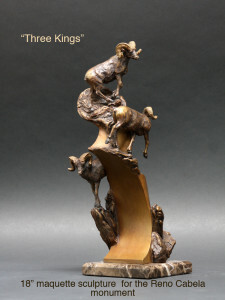 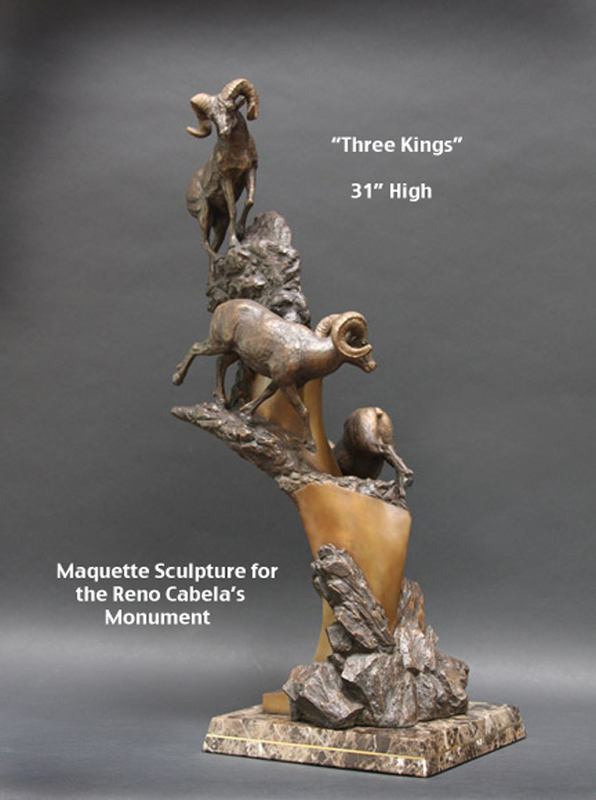 The 31″ and 18″ maquettes are smaller versions of the Three Kings monument commissioned in 2008 for the Reno Cabela’s megastore. 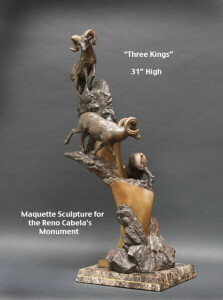 They depict the Nelson Bighorn Sheep earlier found in the Eastern Sierra area near Reno, Nevada. 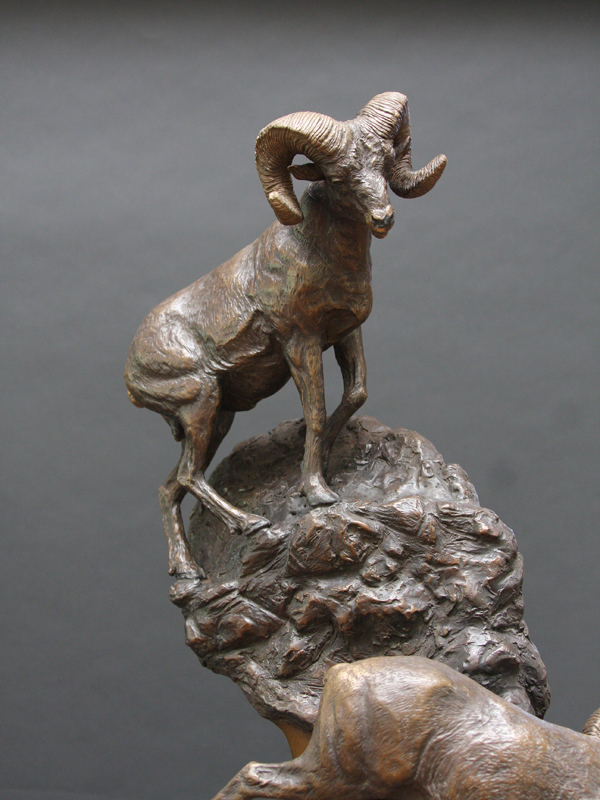 This bronze sculpture is beautiful from all sides, making it a perfect centerpiece. 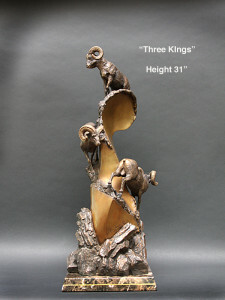 Both sizes have beveled marble bases.